Definition: TOLES stands for ‘Test of Legal English Skills’. TOLES is an exam for testing Legal English and has three levels – foundation, Higher and Advanced. Example: The students revised for the TOLES exam. Information: Many students use the TOLES Lawyer’s Legal English Coursebook to study and prepare for TOLES. 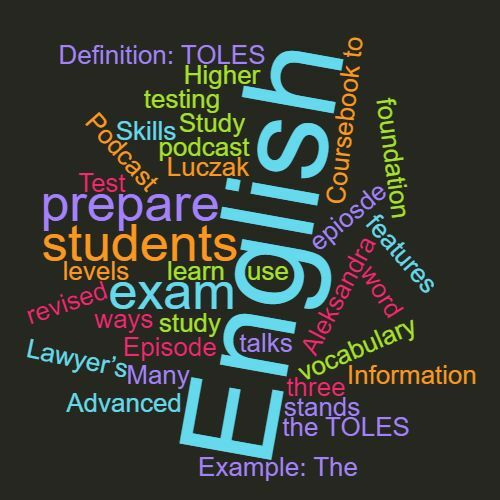 In epiosde 56 of the podcast Aleksandra Luczak talks about other ways to prepare for TOLES and learn Legal English vocabulary. This word features in Episode 56 of the Study Legal English Podcast.